March is Women’s History Month and the St. Simon Baptist Church of Orange Park is celebrating women all month long. Last weekend, the church presented a spoken word by continued the month long celebration with spoken word by Reverend Adela George, Director of the St. Simon Women of Purpose Ministry. 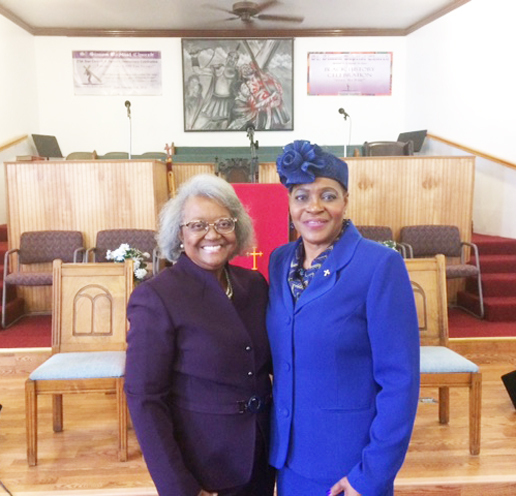 The church congregation also welcomed special guest Ms. Yvonne Hayes-Hinson of Gainesville, FL, a candidate for congress. The accomplishments of women are being recognized during Sunday school and morning worship service with special participation and presentations by the women of the church. All services are open to the public. 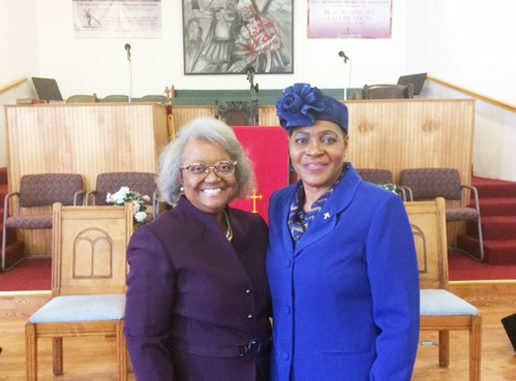 Shown is St. Simon Women’s History Month guests Yvonne Hayes Hinson, Candidate for U. S. House District 3 and Reverend Adela George, St Simon Baptist Women of Purpose Ministry.